Airport lounges — what’s so special about them anyway? It’s also because most of them include not only snacks and premium drinks, but complimentary Wi-Fi and some exceptionally comfortable spaces that promote relaxation and/or productivity. Hot Tip: One of the biggest differences between regular airport lounges and premium or first class lounges is the food selection — it’s often MUCH better in the higher end lounges. There are thousands of lounges worldwide, and there are a number of ways to get into them without having to fly first class or business class. While frequent flyers may have a lot more opportunities to get into airport lounges, the casual traveler can enjoy many of these airport sanctuaries too. To that end, here are some of our best ways for accessing the airport lounge of your choice without having to fly first class. The Platinum Card® from American Express or Centurion® Card from American Express give complimentary access to the Amex Centurion Lounge network. It’s worth noting that both of these cards come with large annual fees, so consider that if a credit card is the route you choose for getting lounge access. If you have a Priority Pass Select Card, you’ll also gain access to additional lounges (though without free guest privileges). Chase’s premier travel rewards card, the Chase Sapphire Reserve®, comes complete with tons of travel benefits for a $450 annual fee that also includes access to Priority Pass Select lounges. And last but not least, a Diners Club card can give you access to hundreds of lounges worldwide for a $95 annual fee. Note that you may have to pay per visit after a certain threshold, which can get expensive depending on the card you have. Bottom Line: Centurion Lounges are probably the nicest of these premium credit card offerings. 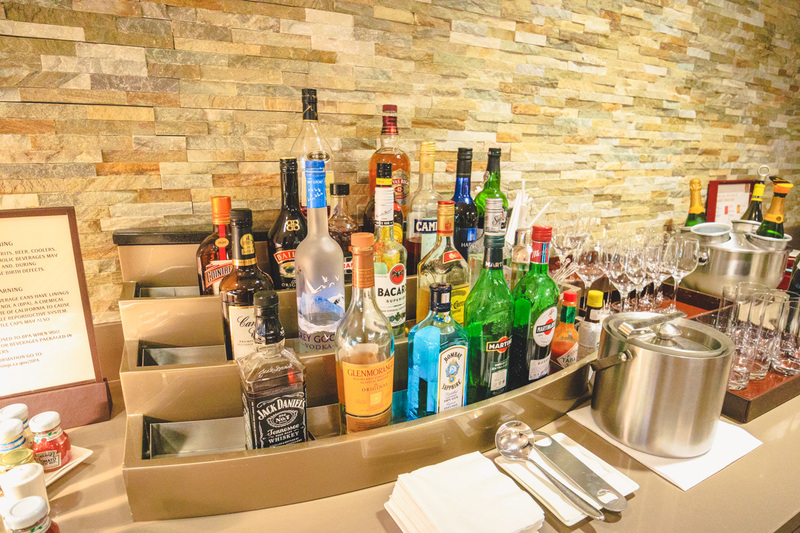 They include a premium bar and buffet food, in addition to spa services at select airports. These lounges are typically very crowded due to their popularity. 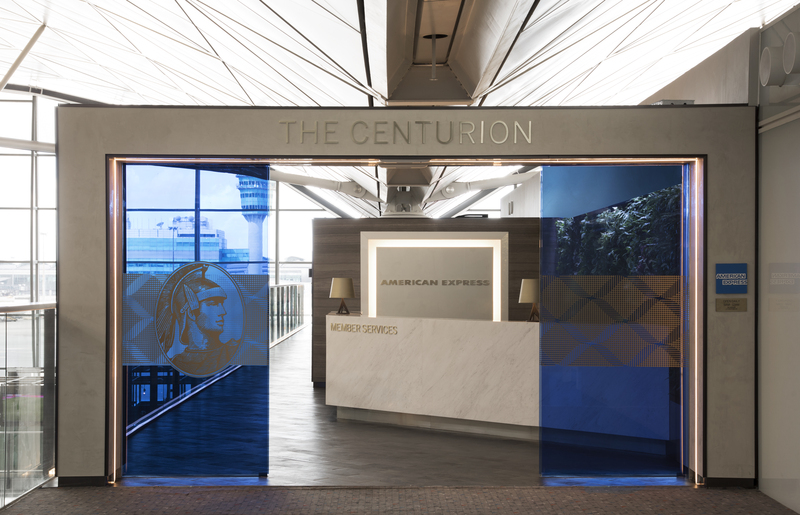 The Centurion Lounge is an extremely exclusive lounge network that only holders of the Platinum Card® from American Express and Centurion® Card from American Express get to experience. Select membership requires having a premium credit card, such as the Platinum Card® from American Express or Centurion® Card from American Express. Your Select membership benefits are similar to those of the Prestige level, and all of the Priority Pass levels require payment of $27 for each guest. Hot Tip: Although 600 lounges is a major network, we recommend checking to ensure that there’s a lounge in the terminal at the airport where you’ll be flying. Having elite status with a specific airline is a popular way to access lounges for many frequent flyers. Almost all airlines have several tiers of elite status, and they usually require that you meet or exceed their mid-tier elite status before getting lounge access when you fly their airline/alliance. To access both the Admirals Clubs and the Oneworld business class lounges (such as SFO’s Cathay Pacific Lounge), you have to reach AAdvantage Platinum or better. And travelers must be AAdvantage Executive Platinum to use AA Flagship Lounges or Oneworld first class lounges (such as HKG’s Cathay Pacific The Pier First Class Lounge). Some U.S. carriers, like United and Delta, are now requiring an international itinerary to access lounges even with elite status (in some cases, this excludes Mexico, Canada, and the Caribbean). 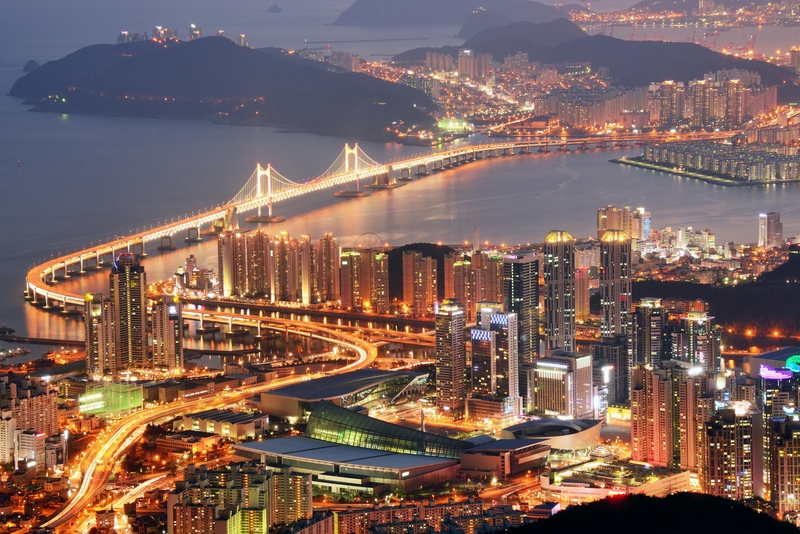 But many of them — including Oneworld, Star Alliance, and SkyTeam — will let you bring a guest for no additional charge. The Qantas First Lounge in Sydney. On Star Alliance carriers, Star Alliance Gold members flying domestically can access any Star Alliance Lounge in the system, including in the continental U.S. (except domestic United Clubs, where you need a membership). 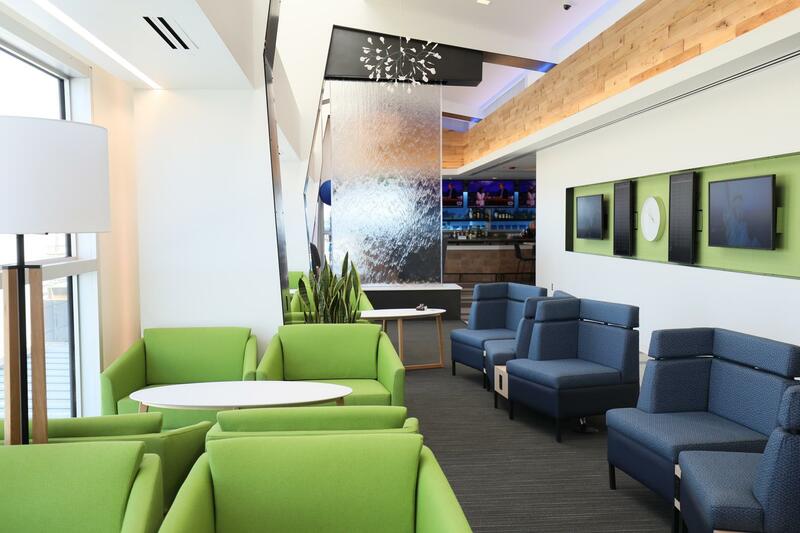 On SkyTeam carriers, you can access other SkyTeam lounges across the world, too – but if you’re a domestic Delta flyer, you won’t have access to these lounges within the United States. SkyTeam uses the SkyTeam Elite Plus designation for those who are allowed access. On Delta, this would be for Gold Medallion, Platinum Medallion, and Diamond Medallion members. Bottom Line: Oneworld has a great selection of first class lounges, while Star Alliance allows domestic U.S. lounge access. Your annual membership fee allows access to any of the lounges that are operated by that airline, as well as a number of partner lounges (excluding some first class lounges). This access is regardless of whatever airline you may be flying that day. That means you can purchase a United Club membership and access their lounge even if you’re flying on Southwest at the time. The majority of these lounge memberships will also allow you to bring your spouse, domestic partner, and/or children with you (or 2 other guests total). Lounge memberships usually run between $350 and $500 annually, but they could quickly pay for themselves in comparison to day passes (or having to spend thousands on business or first class tickets). If you have an Alaska Club membership or a Qantas Club membership, interestingly enough, you’re also allowed to access American Airlines Admirals Clubs across the globe. These lounge memberships can be purchased outright with cash, you can use miles to buy them (usually a bad value! ), or you can use the airline’s business program currency to negate the fee. 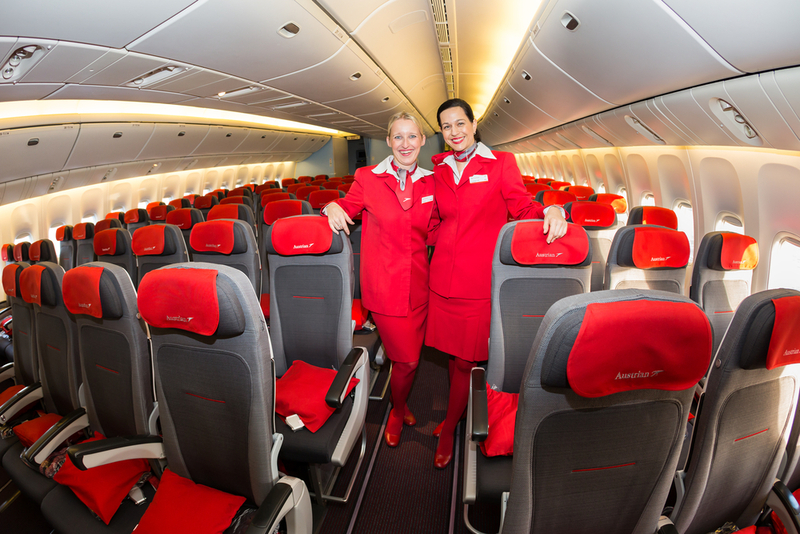 As you enter lounges internationally, you’ll experience much better benefits (even for a paid membership). Qantas Clubs in Australia, for example, include sandwiches you can make, a barista, and fresh salads. Bottom Line: Everyone can access airline lounges with a paid membership. Sometimes these paid memberships allow you reciprocal access to other airline lounges, too. This is the most accessible method for gaining lounge access: simply pay at the door. Many lounges don’t even require that you be flying their airline! Day passes generally run between $29 and $75 per entry. However, some airline-branded credit cards give you 2 free lounge passes for every year that you renew your card (like the UnitedSM Explorer Card). 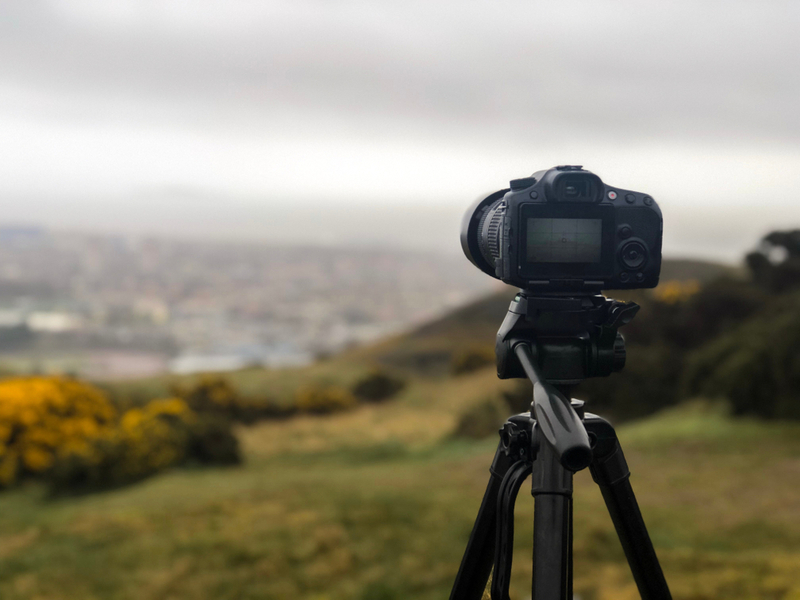 These passes are a great way to enjoy airport lounges without paying for annual memberships, buying expensive first class tickets, or having to fly thousands of miles annually with a particular airline. You can also inquire in the individual airline clubs directly regarding access, including the legacy carriers within the United States. Day passes are sold by United and American in an attempt to entice non-members to visit the lounge in advance of their flight, even if they aren’t flying business class. If you’re a frequent traveler, why not have a card that makes travel even better with access to over 1,000 airport lounges? Image courtesy of Olena Yakobchuk via Shutterstock. Hot Tip: Day passes can get expensive, so if you think you’ll be using them often, you may want to consider an annual membership! LoungeBuddy is an airport lounge booking service that gives you the ability to purchase access to airport lounges anywhere regardless of your class of service, lounge memberships, or elite status. They currently have more than 280 worldwide lounge partners. Besides seeing the lounges that you can access free of charge, you can also buy access to a lounge from the LoungeBuddy app. And if you add any of your elite statuses, LoungeBuddy will tell you all the lounges you can access, as well as how many complimentary guests you’re allowed to bring in. Using LoungeBuddy, you can purchase access into lounges you don’t already have access to for a nominal fee (usually as low as $20). Once you buy access, you’ll be given a barcode you scan when you arrive at the lounge. A portion of the seating area in the Alaska Lounge at SEA, Concourse C. Image courtesy of blog.alaskaair.com. 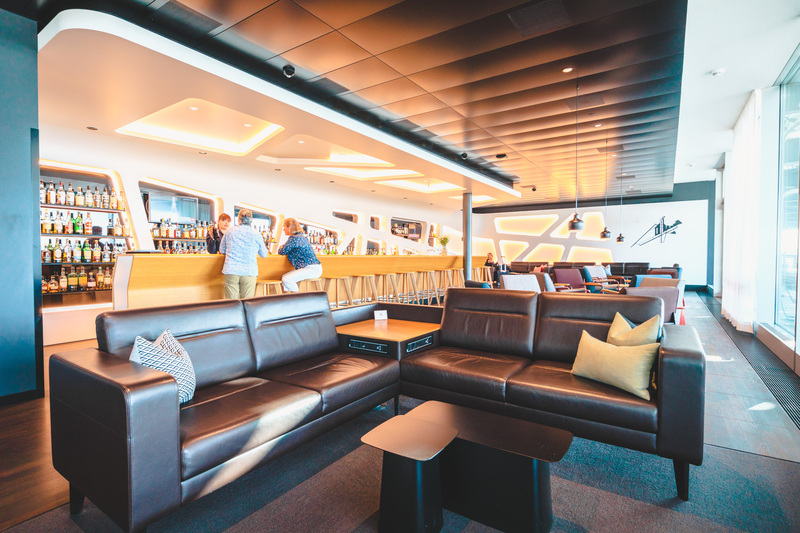 There are a few very exclusive lounges where a first class ticket seems to be the only way to gain entry, including the Lufthansa First Class Terminal at the Frankfurt Airport and the British Airways Concorde Room at London’s Heathrow Airport. However, there are exceptions even then if you’re an invitation-only elite status tier member, like British Airways Executive Club Premier or Lufthansa’s HON Circle. For the most part, though, the majority of international first class tickets will let you access these lounges with the ability to bring 1 guest (who doesn’t need to be a first class ticket holder). 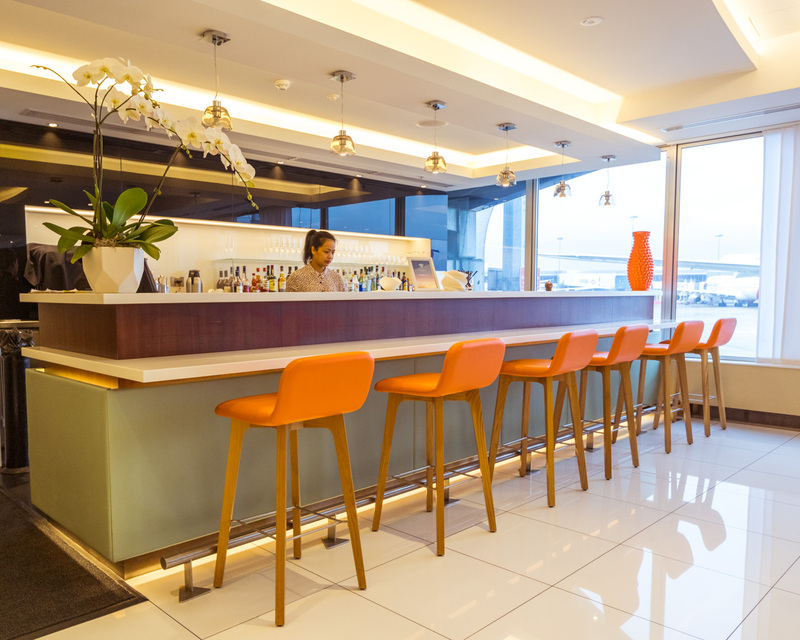 Now that you know a few of the best methods for accessing airline lounges when you travel, you can relax more and stress less. No more waiting endlessly for a watered-down overpriced drink at the crowded airport bar. No more lousy airport food and crowded seating while you wait for your flight. Instead, you can enjoy peace, tranquility, and everything else you thought only first-class passengers were entitled to! Thanks for a good article, as at least I have some options for when my AMEX Platinum comes up for renewal. I’ve been extremely disappointed with the lounge options I receive through my membership. I just received notice from them about changes in their lounge policy. For instance, I used to enjoy refeshing myself in a lounge AFTER my arrival at my destination airport, but this is no longer allowed according to AMEX. Also, I am finding that more and more lounges I access through my accompanying Priority Pass membership are putting severe restrictions upon the holder. One Canadian lounge bluntly put a two hour restriction on our stay. Another US lounge was closed to Priority Pass members by 3:00 pm. To top it all off, AMEX Platinum doesn’t offer one bit of travel insurance as part of the card benefits. I won’t be renewing and will be looking for a better card, indeed.